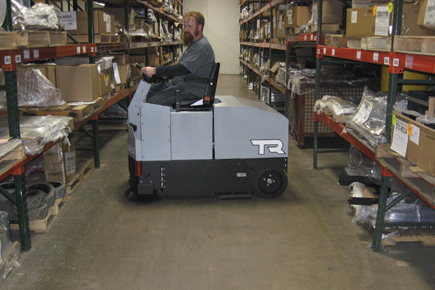 The TR Sweeper will pick up dust and debris in a very quick and easy manner. This machine will definitely leave your floors clean! 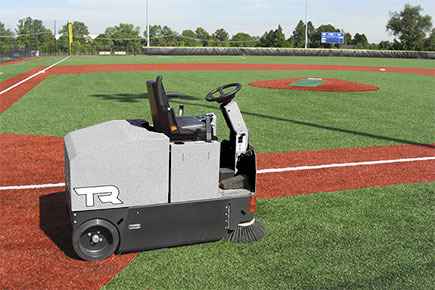 Our TR Rider can be equipped with a specific drive and brushes to better preform on Carpet and Astro Turf. 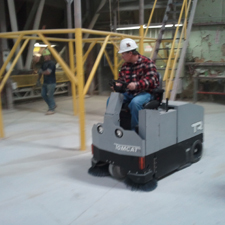 Here you can see that its sharp turning radius even allows for users to do complete U-Turns in tight hallways. The TR is great on AstroTurf because it is one of the few things to easily and quickly clean it. 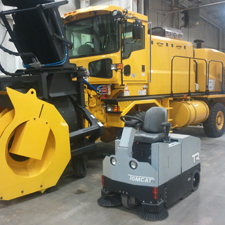 With built in side-brooms, this Rider unit is able to pick up dust and dirt from cracks normally unreachable. 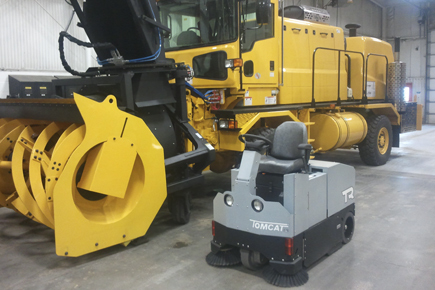 All of Tomcat's Floor Sweepers work at a very low decibel to allow for sweeping during the normal business hours. 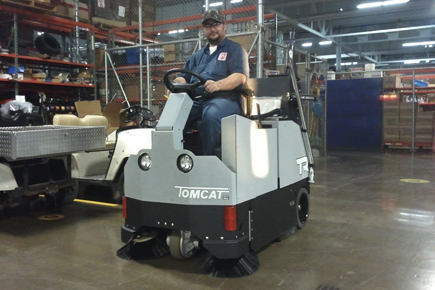 The Tomcat model TR's design was built from the success of our Model 34 Walk Behind Sweeper. The TR's side brooms sweep up dirt in the corners while a huge tubular sweeping broom under the machine sweeps up the dirt and debris from the floor and packs it into the steel hopper. Meanwhile, the second stage vacuums up the dust and traps it in a polypropylene felt "baghouse" filter. 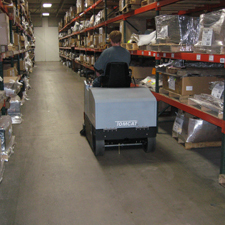 Tomcat's Commercial Sweeper Equipment can pick up whole bags of cement at a time without leaving a trace of dust behind. 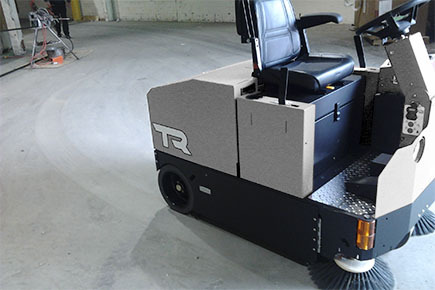 From cleaning up dirt and dust in very industrial factories, sweeping the floor of a warehouse, to even sweeping up debris in a construction environment, the TR is very applicable in many different industries. 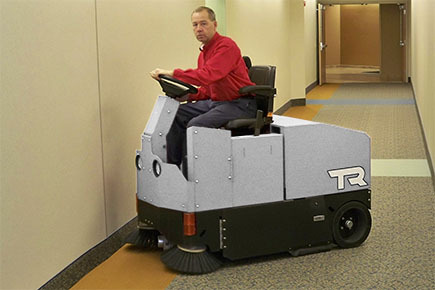 The TR Sweeper won't be slowed down.